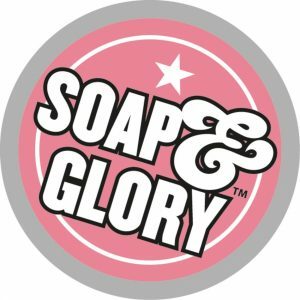 NEW YORK — Soap & Glory has executed a deal to become the first-ever exclusive beauty sponsor for all 2018 Tough Mudder North America Challenge events. The sponsorship kicks off this July, with activations at 21 Tough Mudder event days across the United States that will continue through November. The leading beauty brand will take over the Rinse Stations & Changing Tents and transform them into tropical pink oases inspired by their newest bath and body fragrance family, Call of Fruity. Soap & Glory will also unveil a reimagined version of Tough Mudder’s muddiest obstacle, Kiss of Mud. This pink-tastic muddy arena will get participants down and dirty just in time for the Call of Fruity-branded Rinse Stations. Beginning with the Twin Cities Tough Mudder in Minneapolis on July 14 to 15, Soap & Glory will celebrate female warriors across a multitude of platforms, including Facebook and YouTube, and select broadcast television outlets. The Tough Mudder course pushes participants to their limits and unleashes their inner “GLORY-IOR” by increasing strength, endurance and athleticism through a combination of resistance training, bodyweight moves, dynamic stretching and cardio-focused drills. Through this partnership, it is Soap & Glory’s goal to inspire women across the country to feel, look and act with kicka** femininity. Tough Mudder’s young, rapidly expanding audience overlaps Soap & Glory’s dynamic demographic of empowered, glory-ous women nationwide — making Soap & Glory a prime partner for Tough Mudder’s 2018 season. Soap & Glory beauty-stuffs exclusively at Walgreens, Target and Ulta.